Youth is the premier characteristic of the American work culture. This fact has resulted in millions of dollars spent by the older population every year in an attempt to look and feel younger. In the work place, being youthful is associated with strength, energy, possibilities, and freedom. If anyone is perceived as old, they are perceived to have declining powers, which leads to a loss of respect and authority. Intelligence or experience don’t matter; in America the younger generations rule! Therefore it does not matter if you are an immigrant or grew up outside the United States, once you are in America and maintain your youth, the possibilities are endless. We are all like Robinson Crusoe, and should always find something to do, to set ourselves apart from the others. Sir Frances Bacon wrote: ” A wise man makes more work than he finds.” Donate and volunteer and add those activities to your resumé. No matter what profession, you can participate in career day, teaching English or another language, or math, writing, or whatever other strength you possess. In addition, no matter the cultural diversity, there are six rules that govern the United States business culture. 1) Individualism: each business expects each employee to succeed by his or her own efforts, followed by individual rewards. Although there is emphasis on teamwork, competition between individuals is encouraged. 2) Equality: This a core American value, where Americans believe that all people should be given the opportunity to pursue their dreams or goals, whatever they may be. Although, inequalities may exist, equality in the U.S. work place is found more than any other culture. This is true for any race, gender, social background, or even age (it’s just important that you show youthful energy). 3) Privacy and Personal Space: People in America are used to privacy and personal space at work. It is expected for you to knock if a door is closed and avoid personal questions about beliefs and activities until you know a person. 4) Time and Schedules: In America punctuality is paramount. Once at work, efficient use of time is expected, including, the time designated for meetings. 5) Religion: We are expected to respect the beliefs of all employees, since many religions are practiced, and there is no official local, state or national religion in America. 6) Communication Style: written and oral communication should be direct and focused on content and transactions. It must be kept in mind too, that one negative expression or experience can erase all of one’s credibility or all positive events. It is not important in the U.S. Business culture that you be “good friends” with everyone you work with. It is important however, that you communicate clearly and with emphasis to a subordinate or superior about something that needs to be done or something you have done on the job. Economically, all jobs are controlled by social, political and financial events. We will be changing employers as we gain more skills or change our careers. In addition, other factors, such as globalization, merging, independent contractors and temporary assignments are taken into consideration. We have to know our employers, if they are willing to pay for the best talent, which costs money. 1) Safety: a) are the doors and locks in good condition, b) are the people coming in authorized. Always check identification and the reason for why they are there, c) when leaving, notice if customers possess unauthorized items, d) is there anything on the floors that can cause an accident? 2) Hygiene a) always have cleaning compound or a hidden broom in case it’s necessary, b) if garbage bags are filled up, just take them out. 3) Flexibility: Be willing to work late or overnight and during disasters, if necessary. 4) Punctuality: Start to work immediately and fill the hours with customer monitoring and talk only when necessary. 7) Fostering goodwill: Arrange parties and theme decorations with sincere gestures among co-workers, when possible. Send Xmas, Birthday cards or condolences. Be neutral with co-workers whom you don’t feel friendly toward. Cost-containment initiatives: process improvement in any of the standard routines and procedures. Follow standardized protocol but always think of innovative ways you could improve how some facet of your job is executed. 9) Keeping healthy and youthful: Try using your lunch hour for meditation. My style was instilled early in my upbringing. Try to be inquisitive with the eyes and tenacious with tasks. Perfect attendance is important except for medical emergencies. Building credibility is also important in erasing all doubts from gossip or any personal attacks. In our personal lives, we have our own personal needs. Our employability includes integrity, excellence, and the ability to respond. Eventually, our employees will look for our credibility, which is measured by 1) honesty, 2) objectivity (not involved in emotional situations), 3) awareness of what is important to our customers, 4) credentials, knowledge, and expertise, 4) endorsements from someone they know and trust 5) performance that indicates that you can get the job done, 6) confidence, be convincing about the information delivered 7) communication style, always present evidence and sincerity, when praising others. Productivity is best enhanced when barriers are minimized. Barriers include distractions from noise, multitasking, answering personal phone calls or cell phones, texting, personal emails, music, chit-chat and ethnocentricity, judging another person’s culture or stereo-typing. Emotional intelligence is needed in the workplace. One has to overcome angry responses and customer frustrations. However, managers should have a written code of conduct for the workers. The “You” approach leaves us at the mercy of the customers, regardless of how wrong they appear to us. The “You approach” is enhanced by proper verbal and non-verbal communication. Know the art of cultural-pluralism, where we accept the beliefs of others. Always be constructive, when analyzing events. Productivity is most enhanced by having a reference source and knowing how to analyze the validity and applicability of the data quickly and accurately. The reference source may be your boss, or the one in charge of purchasing and the costs associated with contract-buying and retail distribution. Speed read. Take Continuing Education courses, knowing you can get information in reference sources. Communication is enhanced by empathy expressed to all of your customers, bosses or to the employees. Always know your purpose for writing. Choose words that exude a positive tone, even when the information is negative. The usual purpose is to inform or to persuade for a change. Keep updated in your profession and in the mechanics of words and grammar. For example, in the past, we put 2 spaces after a sentence in written communication, now only one space is needed. 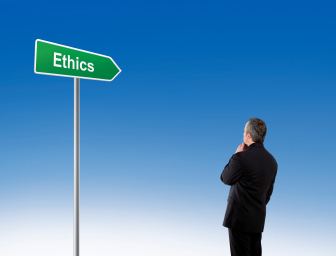 Business Ethics defines what “the right thing to do” is for any specific company. The leadership must have policies that outline what is expected to support honesty and prevent plagiarism. There should be an anonymous reporting system for misconduct. All systems implemented should be audited, to prevent selective misquoting. Business etiquette involves respect, courtesy, and common sense. Most of it has to do with learning about other cultures and languages of other countries. Bonding with workers or customers may be best accomplished by touch. But some cultures do not encourage touch. For example in, Japan, or other Asian countries, citizens bow their heads for approval. Different countries interpret words and sign language differently. 1) Be MENTALLY TOUGH by a) Meditation and deep breathing b) High serotonin level through increase dietary intake of serotonin-rich food sources and vitamin c) aerobic activity using specific muscles related to your profession; e.g. if you stand most day: exercise legs muscles. 2) Maintain a happy attitude, always looking forward to do something after work such as shopping, gardening, reading, painting, community work, etc.